Hey! It’s Monday! I hope you all had a good weekend. I did a bit of joint garage-sale-ing with the neighbors (I made a whopping $6! ), afternoon napping, and popsicle eating. I’ve been lusting after this popsicle mold for days now…it’s so classic and nostalgic, I love it and finally ordered it. 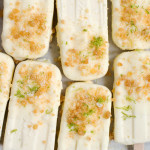 Once it hit the doorstep on Friday morning, I whipped up this batch of popsicles. I don’t think I’ve ever had that kind of turnaround with a new kitchen product…I was just so excited! 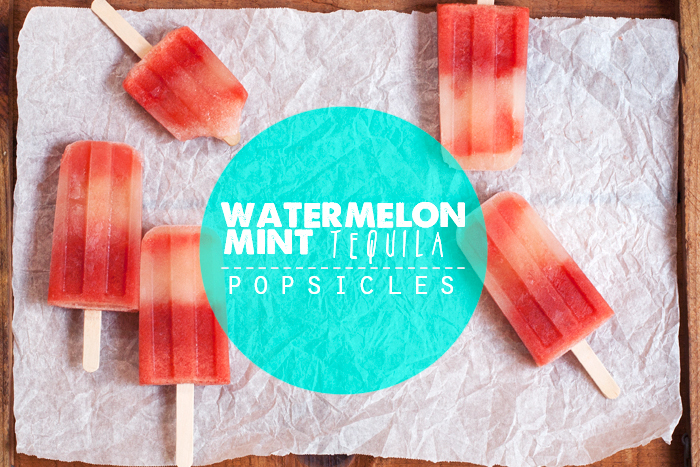 These pops blend fresh watermelon with a minty syrup, a bit of lime, and a tequila kick. They are a sweet, herbal, fruity, boozy, summertime wonder. To make these kiddo friendly, simply ditch the booze. If you don’t have or aren’t a fan of mint, I bet basil would bring a lovely herbal note to these as well. These pops have to freeze for quite a while (the alcohol takes its time), so I let these freeze for 18 hours. Make them one day ahead of when you’d like them to be ready, and they’ll be ready by cocktail hour! In a small saucepan combine water, sugar, and mint. Bring to a boil, to dissovle sugar, and boil 60 seconds. Remove from heat and let steep 30 minutes. Strain through a fine mesh sieve and set syrup aside. With a stick blender, regular blender, or food processor, puree the watermelon with the lime juice. Strain through a fine mesh sieve to remove any seeds and bits. Stir in tequila and mint syrup. 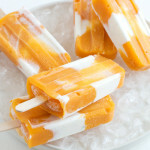 Divide the mixture between popsicle molds, freeze for 30 minutes before adding sticks–contine to freeze until solid 12-24 hours. Now I’m the one who’s feeling the need to get that popsicle mold! I feel like I can taste these based on those awesome photos! And the fact that I love watermelon boozy things has me craving these on the real. Yeah you do girl! I wish I could bring one of these dudes to you! too bad I don’t have a freezer car. damnit. Ooh, I love everything about this! I suppose I could do a granita version, but that’s not as fun. Must get with it and get popsicle molds! Oh, I bet this would make an amazing granita! Mmmm. How did you get the pretty stripes? Did they do that on their own because the watermelon pulp wanted to float to the top of the molds? I have heard many good things about that popsicle mold. Perhaps I should just bite the bullet and order it for myself! 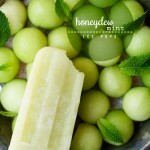 Love these pops – so pretty and super tasty, I’m sure! It’s worth the hype, I think. Thanks Amanda! Oh, these are lovely! 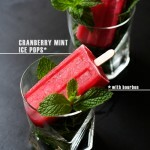 I just made some watermelon popsicles this week, but the addition of mint and tequila…it is a must try! 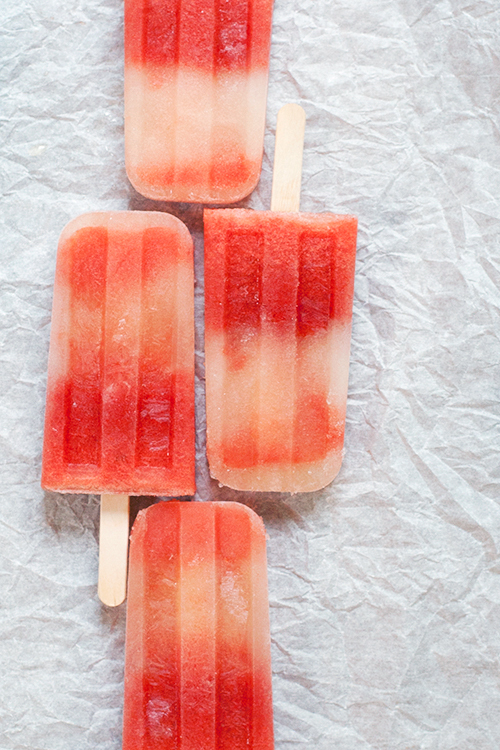 Your popsicles are the prettiest! Three cheer for tequila, too! Oh man, $6 at the garage sale? Dang. Haha, I’m just not a sales-lady! Thanks Nicole! 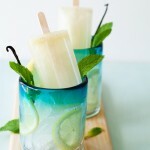 Tequila and popsicles might be the two best words I’ve ever seen put together. Defo squirreling this one away for summer. yes! I hope you do Louisa! Sounds delicious ! Where did you get the molds ? Made and in the freezer. Anxious for tomorrow to get here. I am so glad to hear that, April! Love this idea! Do you think agave syrup would work as a simple syrup substitute? I definitely think it would work. Kate- did the agave work? I also prefer agave to regular sugar! Thanks! How many popsicles does this make? About 10, depending on your mold. Hi Cindy! Thanks for the great recipe. I’m a little nervous about using tequila in these; what kind of tequila did you use? Is the flavor prominent? Thanks again, and happy 4th! The tequila isn’t super prominent, since using too much would prevent them from freezing solid. Use a silver tequila (or even sub vodka) if you are worried about flavor. is it possible to slice the watermelon in triangles and let soak in mixture then freeze? I’m not sure, but you could certainly experiment. 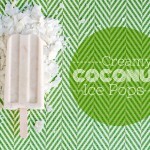 Anyone tried this with the Zoku quick popsicle maker? Just got one and would love to try this one. It just made these and it seems like they will be delicious. It would be great if you listed how many Popsicles this makes because I filled my molds and still have two cups of liquid left (about half). Since these take so long to freeze (and I’m not going to eat all of them at once to refill the molds right away) it seems kind of wasteful. It makes 10 in the popsicle mold that I have, it really depends on your molds and the capacity they hold. Sorry I couldn’t be of more help!